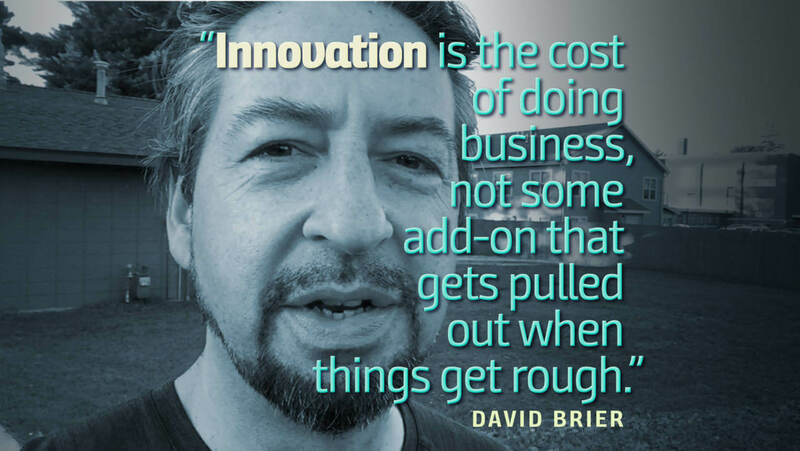 How to innovate? It’s what keeps any CEO or founder worth their stock options awake at night. After all, innovation. It’s not a four-letter word. Crap is a four-letter word. So is mediocrity and the word average. Notice that the many four-letter words are qualitative, not quantitative (that’s what allows me the above artistic freedom). ORIGIN mid 16th century: from Latin innovat- ‘renewed, altered,’ from the verb innovare, from in- ‘into’ + novare ‘make new’ (from novus ‘new’). How uncomplicated: “Making into something new.” That’s what any worthwhile entrepreneur or leader of a business or a movement would call doing business and staying relevant. Designing the living crap out of something to bring out its inherent magic. In short, how to innovate all comes down to dots. Did you know Sir Richard Branson has a mantra that runs through the DNA of each of his 500+ companies? That mantra is A-B-C-D. (Always Be Connecting the Dots). I responded stating, “It’s not a flaw of you seeing things and wanting to improve them that’s the problem. The actual problem is why your employees don’t also see those details.” He paused to take this in, and nodded in affirmation that this made sense. 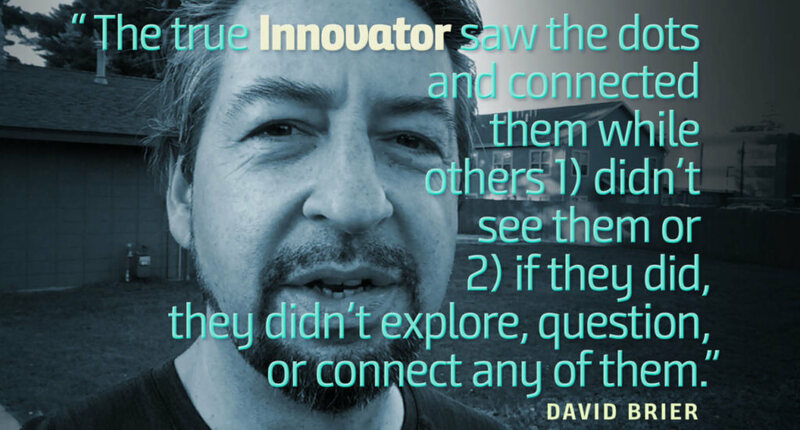 I concluded that this was the single difference between the innovator and the ordinary person: the innovator saw the dots and connected them while others 1) didn’t see them or 2) if they did, they didn’t explore, question, or connect any of them. This aspect of constant attentiveness to how things are (as distinct from how they could be) applies to companies, products, brands, as well as to personal brands and is the foundation for this thing we call innovation. Inspired by this discussion and some of today’s more brilliant minds, I decided to write an essay on innovation. So once this was completed, I decided it would work as a script for a video (instead of solely as an essay) for my Fast Company column. So I asked the graphic motion designer Rafa Galeano to add motion, timing, pacing, and sound. This has resulted (to date) in over 125K views between YouTube and Vimeo views and continues to engage viewer, resulting in global companies showcasing requesting and showcasing this in their company’s special conferences (Dow Chemical being one of them). It comes down to connecting these dots: innovate if you want to stay relevant and create a tomorrow worth building.